Working with Photoshop is a continual learning process. There are so many tools and manipulations to learn, I think I could continue for the rest of my life and still not learn everything. I have taken some incredible classes and watched some great tutorials from fantastic photographers like Barb Uil of Jinky Art and Meg Bitton. I am not here to give you advanced information that I have learned from them. If you are at that point I encourage you to sign up for Barb's Video Tutorials or one of Meg's Webinars. If you are just starting out then I am the girl for you. I am here to help you learn the basics of photoshop in an easy to understand, straightforward way. The pen tool is something I just started working with this year, and mostly with my architectural photographs, but I can see how its precision in selecting areas could be helpful with portrait images as well. If you are working on an image with an angular selection that you need to be exacting with, this is the tool to use! The Mirrored Image Photography honored by NAPCP with 3rd Place win in International Competition! Lucy and I are beyond thrilled! I just took 3rd place in the Toddler Division of the NAPCP International Photo Competition! As I am sure you can tell much of my creative work for competitions are images that I photograph with my own daughter. At her young age, she has learned how to take direction well and she is always super excited to see herself in fantasy type images. She, like many kids gets super excited to see their dreams become real and their imagination come to life. I am so lucky to have such a willing participant. We love to enter art shows and work together on fun and whimsical imagery. This competition was a semi-annual International Competition for all the members of NAPCP, National Association of Professional Child Photographers. In January we came up with the idea of Lucy seeing herself as a fairy. In New England, the weather is cold and dreary so we set something up in the studio instead. I like to set up my scenes ahead of time because even the best 4 year old has a really short attention span. That way, I can get her (or whomever is modeling for me) in and out quickly and still keep it exciting for them. So without further ado, here is our award winning image! To check out some of the other great images from this competition click here! Amazingly cute cake smash photos! Some families and babies hold a special place in your heart. I have worked with this family often. Not only are the clients but they are close friends. Since last year when I took photos of this adorable baby boy as a newborn, I have seen him develop such personality. Photographing his one year cake smash session was such a riot! Like his older brother, he wasn't much into the cake but he was all smiles and full of personality: Chasing the camera, pulling at the pennant flags in the background! 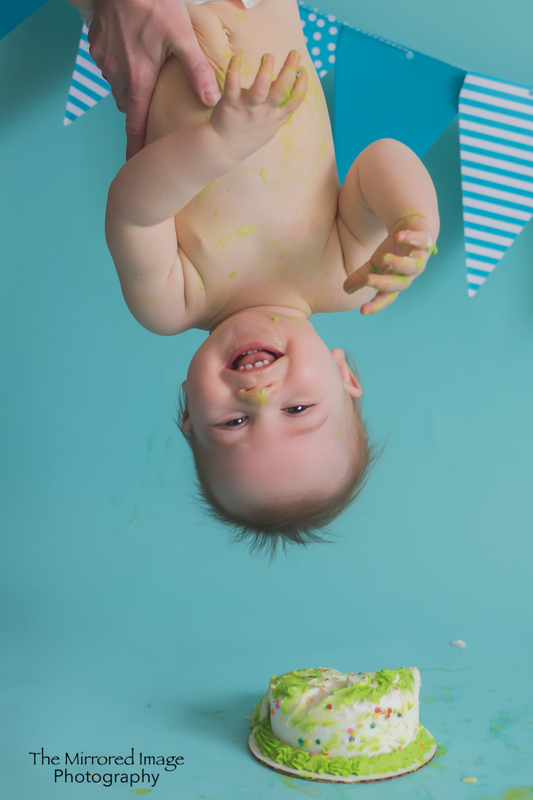 He is one of the happiest most full of life babies I have worked with on a cake smash session! It was also wonderful to have time to catch up with his mom! Time goes to quickly and sometimes life gets in the way. But we had a chance to talk and play and generally have a lot of fun! You never know what a baby is going to do with one of these sessions. Each one is interesting and unexpected. Some babies love their chance to dive into their cake. Others sit down and need to be encouraged to eat and play. Each one produces it's own unique images to remember! Hope you enjoy these images as much as I enjoyed this session! Mini Sessions are back! Schedule something super special for Mother's Day! If you are like me, you love being a mom! You are also tired, ALL THE TIME! Mother's day may be that one day that you get to sit and relax for a little while. Maybe your are totally enamoured with that adorable handmade gift and card that mean so much more than something that can be bought in a store. There is something so special about the way your kids look at you! It is about love and the total beauty that they see! I can't be the only woman/mother that hates getting in front of the camera. That is one of the reasons it is so easy to be behind it! Last year I challenged myself to change that. I heard something wonderful from someone I truly admire and it rang so true that I need to share it with you all now. "You are always beautiful especially to your children. They don't care what size you are. They don't care what your hair looks like or how you are dressed. You cannot wait until you fit your own picture of perfection to have your picture taken. These are the moments that your children will remember and cherish now and after you are gone. Now is the time to create lasting memories for you and for them." So before I created a mommy and me mini session. I challenged myself to do exactly what I ask of my clients. I put myself in front of the camera! Here are a few images from my own Mommy and Me session. Family Photos gone wrong! The outtakes from my own family photo session! Have you ever arrived at a family photo session and felt super stressed? Your kids are hungry. You just ran from an family friendly event or sports game to a session. You have 30 minutes and then you need to be home cooking dinner or moving on to another activity. Your kids are cranky. Someone is cold. Someone else doesn't want to have their picture taken. You are frazzled and so is your spouse. I have been there too! Most often I am the one trying to help people relax. I bring snacks and water to sessions. I bring special incentives to get the kids excited for what happens when they do a good job. I don't set a time constraint, I find that sessions usually end up running the same length as if I did but it takes the pressure off everyone if we run over. Most recently though I tried to do my own family photos with my sister in law. I set up the camera and we traded off taking shots. Some of the outtakes are so hilarious I just had to share them! It was Easter. We just arrived home from an Easter Egg Hunt. I had a few minutes before I had to start cooking our big Easter meal. The kids had not had lunch yet. It was cold out! We get together so infrequently though, we wanted to have some nice pictures to make the moment last! Not even the best photographer can get her own kids to behave all the time! It is so much easier working with another photographer! We had all the excuses; tired, hungry, cold, grumpy, taking too long, I wanted to sit in that chair. In the end though, looking at the reel of outtakes was the best comic relief. Best of all, we managed to get a bunch of good photos also! I am so thrilled that I have been honored by BP4U, a company that I respect with a feature on their photography blog. I am inserting the link here for you to see but also let me tell you a little bit about what I like about this company. BP4U is a great resource. If you are looking for contracts or posing guides, or marketing materials to pretty much anything you can think of other than the photographer and the camera you can find it here. The even bigger bonus is that their prices are very reasonable! When I was just starting out I found BP4U. Being all self taught, this was huge to me. If I couldn't figure something out on my own, I knew I had a go to place to answer some of my questions. They also have Photoshop and Lightroom Actions as well as Sky overlays! If you are like me and you want to composite images you may want to change the sky out for something different and waiting for just the right image to come along is not always an option! I encourage you to go check out what they have to offer. They even have a Freebies section! How can you go wrong with that! When I started as a photographer, I was really just feeling my way through. I jumped in feet first and learned along the way. This is obviously not how all people do things. I am pretty much the same when it comes to everything! I have learned a great deal over the last number of years as a photographer and I feel very blessed for all the help I have had getting answers to questions, giving me questions I didn't even think of, support from others in the business, and more than a few ideas to help spur my creativity. A lot of this help has come from belonging to professional forums and networking with others in my area. One such forum that I just joined recently but am already in love with is NAPCP (National Association of Professional Child Photographers) . There are several reasons why I found this forum among the others I belong to as an incredible group. First, The Member Community! I can't say enough about the responsiveness and the willingness to share from the members of this group. Whenever I have posed a question or put something out there, a number of people are always ready and willing to assist and share of themselves. The Support Team, I have never seen such a quick response from the administrative people. Often, I get a response almost before I hit send on my email. I jest, but the turn around time is really quick. And the conversation is always friendly and super helpful. The video series: There are a great deal of videos on this forum covering many aspect of the business of photography. This is something that I find very helpful. I am always looking for new marketing ideas, more information about business, tips from other photographers. There is no additional charge for these videos, it is just part of the package. It makes you feel like the team here is invested in your success. The expert articles: Owning your own business, especially a creative one is a hustle. You are always looking at trends. You need to know how to keep yourself current. You also need to know how to make it your own style. You are bogged down with the day to day administrative stuff, having fun with your photo shoots and spending a lot of time editing. When you have resources at your fingertips to tell you what others are working on, what current trends are, how others are styling their shoots, or just how to do things a little better or a little more efficiently, it is huge. Every moment helps. Especially when you balance a family too! For these and many other reasons I am so happy and proud to be a member of NAPCP! After reading this, you will completely understand why I was so happy when they chose me as one of the photographers to feature in their Meet the Photographer series! Sorry it has been so long between Photoshop Tutorials! We have been stuck in that cold, virus germ vacuum this winter and are slowly digging our way to spring! I have so enjoyed the lack of snow this winter after the one we had last year but it does make me wonder about global warming and the like. I think that it just has not gotten cold enough here in New England to kill of some of the germs! Add in a 4 year old and preschool and you have our germ vacuum up and running! Anyway, I am slowly working down the tool bar of Adobe Photoshop CC and then I will be moving on to some more complicated parts of photoshop. Today we are talking about the sponge tool. I use this tool a lot in editing portraits. I primarily use it for enhancing the eye color of my subject as well as the makeup if it seems like some brightening up would help the overall portrait. I try to start slow and build up the color. The trick is to enhance things a little bit more so that when people are viewing the image they are drawn into the face. The eyes are especially important since that is what really make a portrait like the one I am working on captivating. Don't forget what your mother tried to tell you about make up when you were 12 though..less is more. You want to add a touch of color to make someone glow, look warm and happy but you don't want extremes. We are not looking for something so overdone that it doesn't look like your client, you just want to touch up. Next episode we will be moving onto the pen tool. This is one that I think is overlooked a lot. I use it mostly for architectural photography but it certainly has it's applications in portraiture as well. Planning for your family photo session can be really fun, but let's face it, for most parents it can be stressful too! Especially when planning photo sessions for families with young children it takes the pressure off when we plan together and set expectations. When you are planning for a family photo session, I think picking a good photographer goes without saying. You want someone who's work really speaks to you. The style and feel of the photographer you choose should reflect your own style. Pick someone who you are absolutely in love with. When you shop for someone only based on what they are charging you will likely not be satisfied with the final result. Let's assume for argument's sake that you have picked your photographer. If it is me, then thank you so much! I am super excited to be working with you! The next steps in preparing are these. 1. Pick a place. If you have a place that you love to go with your family that would be the perfect place to start; the beach, hiking in the woods, the park, even a carousel or a theme park would be super fun places (you or your photographer would need to ask permission for those). If you are unsure, ask your photographer if they have any suggestions on the best place to do portrait sessions. If your photographer is anything like me, they probably have a list of many places they like to work or would like to work in the future and they would be happy to share those ideas with you. 2. Pick your clothing. Start with a color palette. I usually suggest starting with neutrals or colors that match the color palette of your home. You want the outfits that you choose to reflect you but not be overpowering. Remember that you are the subject of the portrait not your clothes, If you choose bold patterns and colors, the viewer's eyes are drawn to that not to you. This is why we suggest staying away from those types of clothing. If you would like to infuse some fun into your images and still have something current, you could consider looking at Pantone color of the year palettes. 3. Pamper yourself! definitely make sure that that basics are covered in getting ready like getting your hair cut and taking off old nail polish for a more in depth look at that part, check out my blog post on How to style yourself for your next photoshoot . If you are spending all this time and money do capture your family at this moment then why not give yourself a little extra care. Get your nails done, get your hair done! Make the process and the experience fun for yourself and your kids. 4. Bring snacks and water with you. If your photographer is like me, they will have snacks and water. They will want your photo session to be a fun and stress free process. You know what your kids favorite treat are. You know what would make them happiest at a low moment. Setting some things aside so your session is not stressful due to a cranky two year old with an empty belly is always a good plan! 5. Have a special treat and prize set aside for afterward. I also have little prizes and snacks set aside for afterward. It helps to give kids something to look forward to. In the moments where small children start to fade, I can call them over and whisper in their ear,"If you do a really good job for mom and dad, I have something set aside for you afterward." It perks them right up and it helps to get them excited. As a parent myself, I am not above bribery when something is really important to me. It helps to change the tone and get kids excited and interested. 6. Make sure to leave plenty of time to get ready. Things happen and you are less likely to forget things and to be relaxed if you leave plenty of time. In my own experience, kids have no sense of urgency and things always take longer. You will be more likely to show up stress free if you fee like you have had time to take care of you. 7. Plan a time that works with your eating and sleeping schedules. Most photographers like to schedule their portrait session closer to sunset. Sunset portrait sessions provide that warm golden light. Warm golden light will not matter one bit if Junior is having a tantrum on the ground because he is starving and over tired. As professionals we are trained to work with any type of lighting. I am always tweaking things in photoshop to make them perfect, lighting is no different. If you and your family are happy, well fed, and well rested that makes all the difference in the world to a successful family portrait session. 8. When talking to kids about your upcoming portrait session, keep it light. Use phrases like, "We are going to take some pictures on the beach with Kathy today! It is going to be so much fun! We will play a little. I also think she might have a surprise for you at the end of the session!". If you pressure kids by forcing them to be on their best behavior by saying things like "This is really important to Mommy, so no fooling around, or else...". It puts the pressure on and sets the wrong tone. If kids are excited about something then it because an event. Who doesn't like to play at the beach or walk in the woods? 9. Create a Pinterest Board with your photographer. The feature to be able to have a private board is one of the greatest things for portrait sessions if you want yours to be a surprise to people. I usually ask that people post some of their favorite ideas from other photographers as well as some of the images from my website or Pinterest profile. That way I have an understanding of not only which of my work speaks to you but also what other ideas you might have on your own. 10. Relax and Have Fun. We have dotted all the I's and crossed all the T's. The best portrait sessions I have are the ones where people are relaxed and enjoying each other. If you have those elements, it shows through on the camera. You have done all you need to do to make your session a success! One of the areas of photography that I am most passionate about is children's photography. I am sure that this shows through in the number of candid and creative portraits that I have of children throughout the portfolio on my site. Something that you may not be aware of is that many of these images are styled portrait sessions, that i have planned with the families to perfect every detail of our session. That pre planning is something that I do for all my sessions, but with the children's portrait sessions, I have a collection of ideas and dresses to bolster the options that they have in their own wardrobe. Although I have primarily done these sessions with girls, I do have many ideas that involve boys as well and I am looking forward to planning those with people this year as well. I am well on my way to creating a wardrobe of dresses and costumes to help your little girl feel like a princess and transform her session into something magical that shows the true essence of her soul. My next step this year other than adding to my dresses and costumes is to start styling portrait sessions around your specific child and what they are in love with. If your little boy is in love with trains, why not consider a polar express portrait session? If your little girl thinks she wants to be a vet how about doing a session with her checking out her dolls and stuffed animals (and maybe a real elephant! In this Spring Portrait Session, This little girl loved this dress so much. She thought she was Elsa and wanted to take it home. She was a true character with a fun energetic spirit that shines through in this session that was staged in Plymouth in Myles Standish State Forest. This winter it has been raining a lot on the South Shore of Massachusetts. That has not left a lot of space for those magical snow sessions that I find so breathtaking. So I need to find other ways to create magical and fun portraits. Believe me, I have a ton of ideas! And I am always thinking about things like this! This photo manipulation portrait idea started in September! As with many photographers I was intrigued with the idea of photographing the blood moon. It is such a rare occurance, I think you need to make the most of those moments. So I rented a lens. Even the biggest portrait lens will not be enough for the moon. I called a friend and fellow photographer and we planned to go out and play. The moon is something I have featured in a couple of my images. I find the night, the moon and the stars so magical. The background image and the moon were taken on the same night. The little girl in the basket is my daughter, although I would love work with some of you creating these moments for your family! Awesome images for a nursery or child's room and playroom! We just used a green screen and a basket to do the rest. I hope you enjoy this as much as I enjoyed making it. Stay tuned for more creative projects! Printable Infographic: How to style yourself for your next photo shoot! This is a question I get asked all the time! What should I wear to my photo session? Any suggestions on how to prepare for our session? Up until now I have just talked about a list of things that people may want to remember before their shoot. Some may seem like common sense. All of these has come up in at least one of my photo sessions before. I decided it was time it to put together a comprehensive infographic on the subject. Hair, This is a big one. Be prepared! Ladies, Color your roots unless you are okay with the two tone look. The ombre style is still in right now but if it isn't intentional than make sure you think about it. Also, if you have long hair and it is a windy day an up-do might be the way to go. Please don't experiment with your hair the day before your shoot. If your hairstyle turns out wrong and you look like Edward Scissorhands that doesn't count for an emergency reschedule on your family portrait session. Men, Clean up the hair a day or two before the session. Please trim the crazy eyebrows, nose hair and ear hair. Shave or trim the facial hair. It will make you happier in the end (as well as your wife, girlfriend, mother, potential girlfriend...you get the idea). Make-up. Naturally enhanced is best and classic. Whatever makeup (and clothes) you choose, make sure that it is not too overdone or trendy. Bring lipstick or lip gloss to touch up during the session. You to be the focal point of your portraits not your makeup or your outfit. Think baby blue tuxedo 20 years from now. You get the drift. For ladies I think Audrey Hepburn would be the quintessential role model and for guys think Cary Grant. You can be a little more modern than that, but with those two you can't go wrong. Follow the tips below and evaluate your clothing choices for the day of your portrait shoot carefully. Think first of your outfits complementing the other members of your group. Stick with one color family or best of all I prefer neutrals. You want to think of the decor of your home as well. If you stick with neutrals, 5 years from now when you're bored with the color scheme of your home and you want to change it up, the portrait you hung above your fireplace is still relevant. Something a great number of ladies forget, Clean off or change your nail polish just before your portrait session. Little things like that will stick out to you like a sore thumb to you when we sit down for our photo reveal and you would not want to go through all this work to be disappointed that you forgot something so small. Shoes, I did once have to photoshop boots on someone. And yes, I do charge extra for that. Not to mention that nothing looks as good as the real thing. If you decide to be casual and where flip flops to your beach sunset photo shoot and you don't want to be photographed in them or with bare feet, I would consider putting your shoe choice in the car the night before so they don't get lost in the shuffle. Men, suits and sneakers don't go, unless maybe your are making a statement with wearing Chuck Taylor's on your wedding day. If not, choose dress shoes for a dress outfit and so on. You get the drift. There are several more suggestions in here that are good easy to follow guidelines for anyone planning a portrait session. Depending on the type of session you choose, we will go over more in depth suggestions for what to wear or bring with you. For if you are a photographer looking for the best way to help your clients get ready, feel free to share this post and free infographic. But, please do not alter it in any way, Thank you! Summer in New England is a fabulous time for Portrait Sessions. The South Shore and Cape Cod are full of beautiful beaches and the images you get right before sunset are some of the best. It is good to know though that even if you can't always work in the perfect conditions, you can create them yourself with a little photoshop magic. These are three separate sessions from Cape Cod (Falmouth and Sandwich MA) and The South Shore (Duxbury, MA) that were taken on the beach on beautiful evenings where the colors didn't come through, but with a little photoshop magic they because just what my clients wanted them to be. They are beautiful Sunset Portraits of their beautiful children. Some portrait sessions that you photograph hold a special place in your heart for one reason or another. This particular session is one of those for me. It is a newborn portrait session for a beautiful little girl adopted by friends of ours from Newton. We were lucky enough to start our adoptive journey with them for our first children and I am so thrilled I was able to help them welcome their new daughter into their family. Even though she was awake and totally aware of her surroundings she was perfectly content to be posed and relaxed easily into different shots. We were all so thrilled with the whole session, I am sharing a sneak peak with everyone and I cannot wait to present the rest! Thanks for joining me again on our Adobe Photoshop Journey! As I have stated in pretty much every blog post on this video series, This video series is a way for me to give back! I want to help people to learn the basics and get started on a photography journey I hope they will absolutely love. I am mostly self taught when it comes to photography and photoshop. Being self taught though means I had a lot of help along the way. A great deal of my own photoshop skills come from following other photographers and other youtube bloggers to develop skills that I saw and admired from them. I used both paid and unpaid photography and photoshop tutorials to develop my skills. My art is by far and away better for it. I will be covering the basics in this series to get you familiar with the beginnings of photoshop and the get you comfortable with the tools photoshop has to offer. If you want to learn to edit like Meg Bitton or Barb Uil from Jinky Art Photography then you will need to take a course with them. I certainly have done that and I have been totally satisfied with what I received for the money that I spent. Sometimes though just getting started is hard and it helps to have the basics cataloged in one area and explained in easy to understand language. My portrait photography has come a long way with the help of photoshop and a few good teachers. I hope you like this video on Dodging and Burning. It covers not only how to dodge and burn (lighten and darken parts of an image) but it also covers why it is important, what to look for to dodge and burn the right areas and how to successfully do just that without destroying color or degrading the pixels in your image! Something I have not talked about often enough is how I combine events like family photos with memorable occasions. Some of my clients choose to combine their family sessions with an event, like a birthday. This Hingham Family did just that. They chose to celebrate a 70th birthday in their home on the 4th of July! 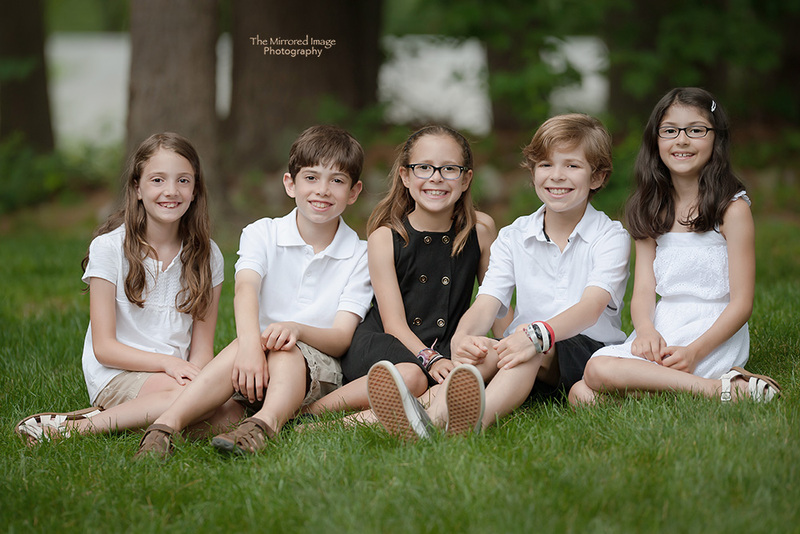 I came to their house for the portrait session, this takes so much pressure of the family to travel or arrange a venue, I was happy to drive to Hingham for their on location shoot! The family was absolutely wonderful! The kids were so joyful and the adults too! I was such an amazing experience to do a portrait session with these people and the meetings before and after were just as nice. Something I offer to all my clients at no additional charge is pre and post portrait shoot consultations. These clients took advantage of both. We talked about choosing outfits. We talked about choosing what was appropriate for your wall space for images. I helped them to find the perfect fit for them. A fantastic experience for all of us! Here are some images from their party! It is snowing here again! I know it is only the second snowstorm but I am already ready for spring! The beautiful weather, the warm sunshine, and of course the fun spring family portrait sessions! I have had time to sit down and make a list of all the fun portrait sessions I would love to do. Creative shoots and just places that would be fun to bring families this year to do their family photo sessions! We have had a few temperate days, and Lucy and I have made the most of it by going out and taking some fun creative pictures. I have some snow ideas too, But I am reminiscing mostly about all the cuties I got to photograph last year! This portrait of Lucy was taken in the woods on one of our particularly warm days last week! And we are now back to snow!!! But I can't really complain because here are some of the images we were doing last year at this time! I guess any season in New England is all relative! Like they say, "If you don't like the weather here, wait five minutes and it will change!" Stay safe and warm in this winter weather! Today was an amazingly warm day for February, it was close to 60 degrees! Lucy and I went outside to the playground and had a blast! (and of course brought our cameras) Blog post later to come on this fun day. What it made me think for though were those amazing fun soft and whimsical beach nights just right for family and children's portraits. There are quite a few portrait sessions that don't get shared in the summer. Things get so busy then, that I end up using the winter months to blog and share the sessions of families and children that I am most proud of. This was one of those sessions. This bold beautiful little girl was definitely sure of herself and what she wanted. So I let her lead the way! We had so much fun playing and snapping away, the night could have gone on forever. She was so energetic and full of life that it truly made my heart sing when I saw how that was captured on film. I hope you enjoy this session as much as I enjoyed taking it. As any New England Portrait Photographer will attest too, Winter time can be a little slower paced then summer. People around here tend to hibernate in the winter. So, we need to make our own fun! I love doing creative projects. I sometimes do model calls and often I use my own daughter Lucy. I am super lucky that she loves working on these projects with me! As with any 3-4 year old (She turns 4 tomorrow) Happy Birthday Baby!!!! Her attention span is short so I have to have a clear vision, set things up quickly and be ready to go. Many of our photo shoots (meant to create a handful of creative images) are 15 minutes or less. This is one of those times. ait ideas come from the idea of creating a magical world filled with wonder and delight that I believe they can still see. This fun, playful, whimsical set can from just such an imagined idea! Enjoy!